A sequence of earthquakes took place in June 2004 approximately 60 km southeast of Tabuk, Saudi Arabia. The first felt event (M W = 3.9) occurred on June 9 and caused minor damage in the epicentral area according to the National Earthquake Information Center and the local reports. Another moderate size event occurred on June 22 (M W = 5.1) and was followed by a few felt aftershocks without any reported damage. This earthquake sequence caused considerable alarm at Tabuk and highlights the fact that damaging earthquakes can occur in this region away from the major plate boundary in the Red Sea. Being the largest well-recorded event in the area for which the digital and broadband records from Saudi Arabia, Egypt, Israel, Jordan, Turkey, Cyprus, and Kuwait are available, it provides an excellent opportunity to study the tectonic process and present day stress field acting on this area. The digital records from these regional networks were used to relocate the largest three events of this sequence. Focal mechanisms were obtained from full waveform inversion and indicate normal faulting mechanisms with two nodal planes oriented NW–SE in parallel to the faults bounding the Tabuk graben and the Red Sea rift axis. These events originated at shallow focal depths of 4–5 km, possibly contributing to the widely felt ground motions. 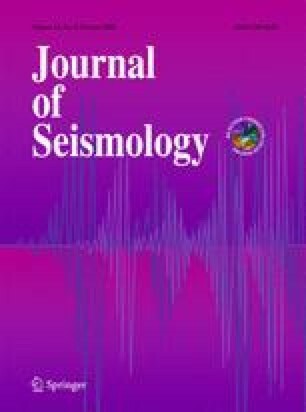 These events offer a unique opportunity to study the active tectonics of the region as well as inform future studies of seismic hazard in northwestern Saudi Arabia, the Gulf of Aqaba, and eastern Egypt.